Every year the world's oceans lose roughly 100 million sharks due to human hunting. The big problem? Scientists don't know how to manage the population back. As an apex predator, sharks regulate smaller predators in the food chain, helping to ensure the oceans' ecosystem remains balanced and stable. Unfortunately, the global shark population has decreased by 90%, which means that understanding and protecting sharks is seriously at risk. That's why OCEARCH, a non-profit created to change how the scientific community studies large ocean animals, is interested in studying sharks. "If we don't have a lot of large sharks, there will be no fish for our children to eat," notes Chris Fischer, OCEARCH's Founder. "They are the lion of the ocean, they are the balance-keeper." When the OCEARCH team tags sharks, they use SonoSite ultrasound machines to scan females for pregnancy information. By visualizing where females are in their reproductive cycle scientists can begin to put the pieces together of how sharks live. By gathering more information on where sharks migrate, mate and breed, scientists and policy makers have the knowledge to create plans that manage and protect shark propulations for future generations. "If you don't have data, you can't do it," Fischer said. "It's all about data creation and having the will to leverage that data for everyone's future good." 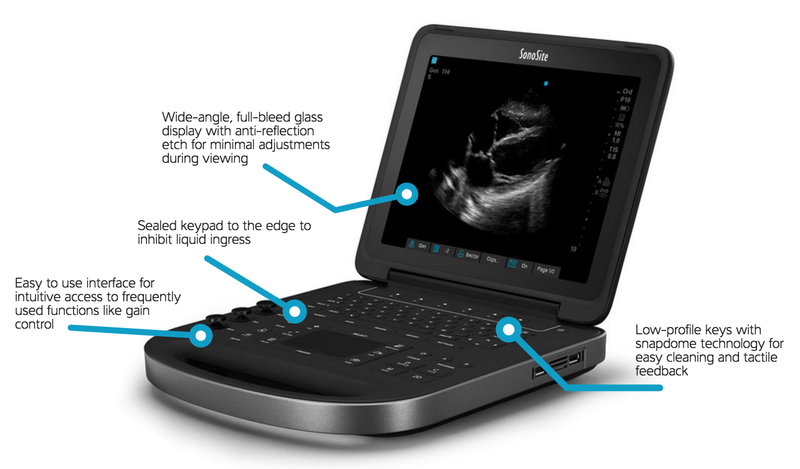 Visit our Veterinary Medicine page to learn how our portable, reliable, and durable ultrasound systems are built to help veterinarians scan unpredictible patients in unpredictible places.